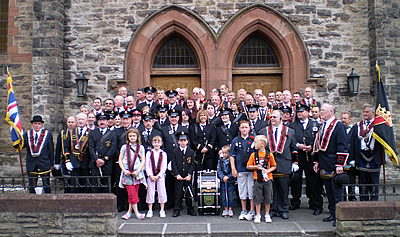 Officers of RBP 1104 prior to setting out for Newcastle on the Last Saturday in August 2010. 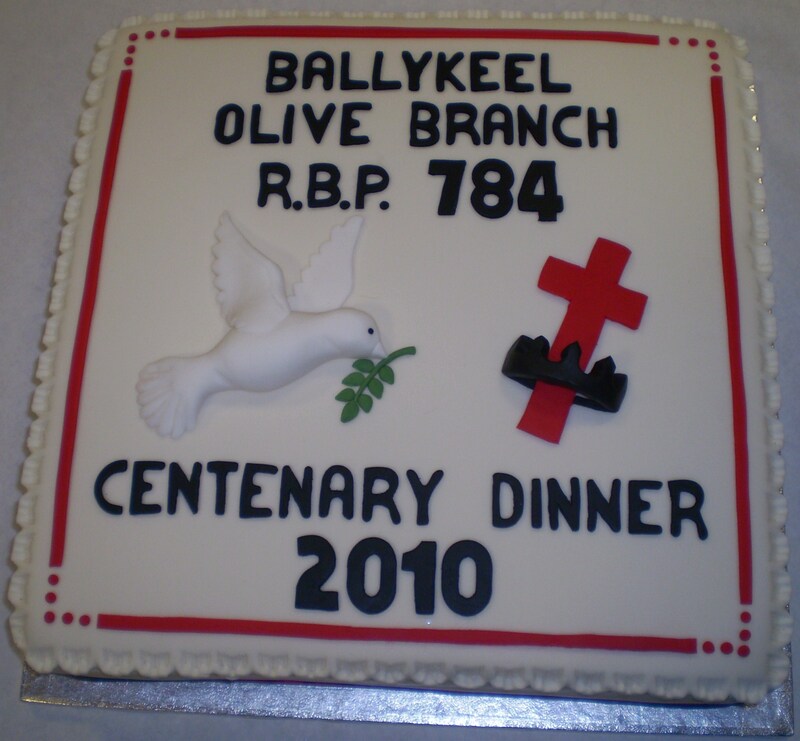 Sir Knights of RBP 784 and guests enjoying their Centenary Dinner on 29th October 2010. 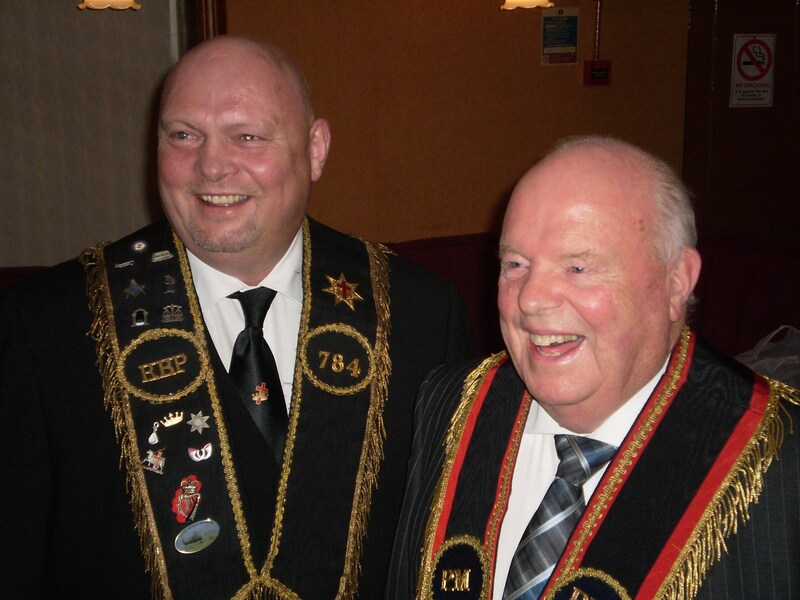 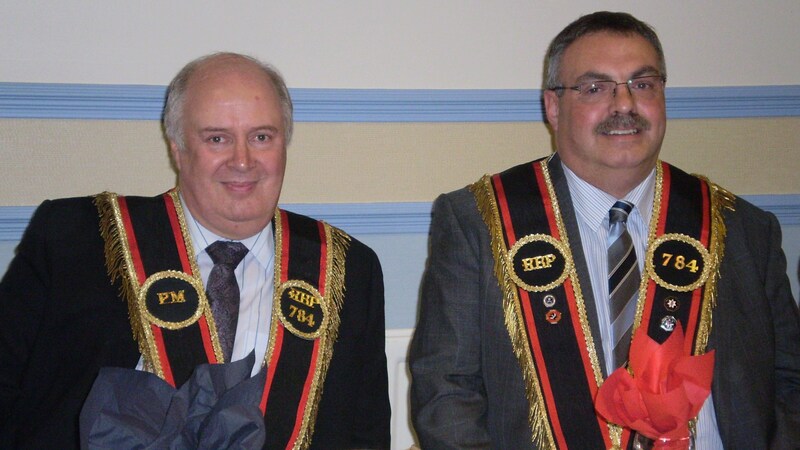 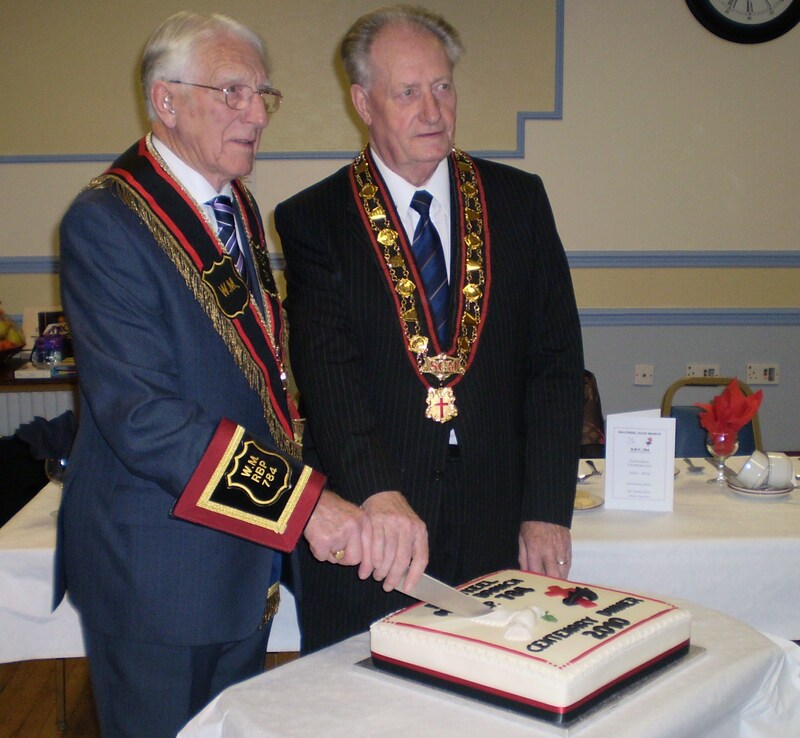 (Left to Right)Most Worshipful Sir Knight Millar Farr, Sovereign Grand Master, Worshipful Sir Knight Eric Turkington, Worshipful District Master and Right Worshipful Sir Knight Jack Fairbairn, County Grand Master on the occasion of the Sir Knights visiting Bangor for the Quarterly District Chapter meeting. 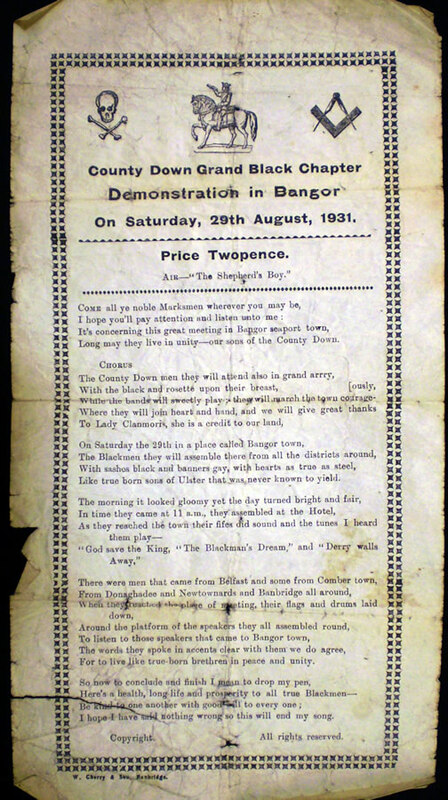 This is a photograph of a Leaflet published on Saturday 29th August 1931 which was shown to the members by Most Worshipful Sir Knight William J Logan MBE. 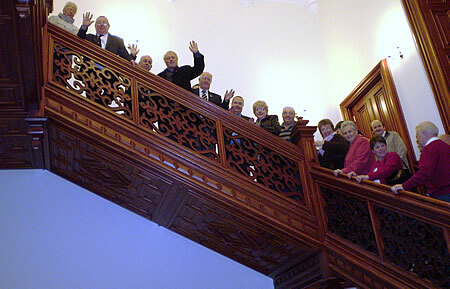 The original is retained in Brownlow House. 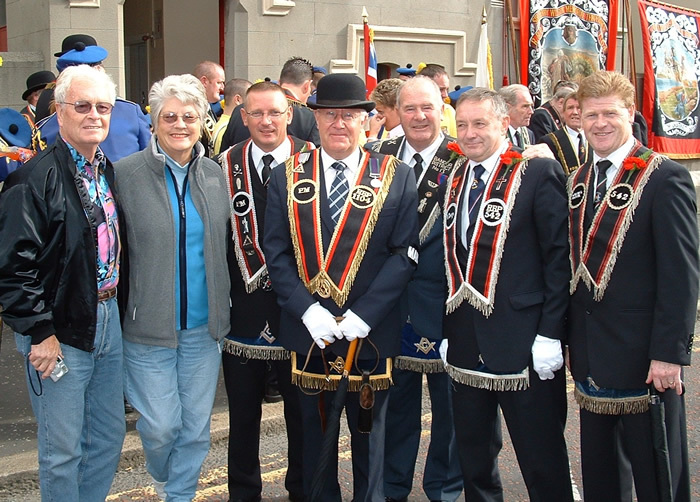 Sir Knights, Bandsmen and Women, and family members gather at Hamilton Road before the parade on the Last Saturday along with the Rolls Royce which was used to convey our older members. 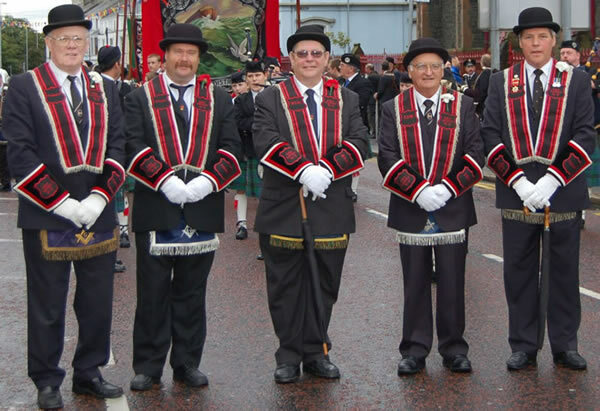 The day started off with the Sir Knights from Bangor preparing for the visting teams. 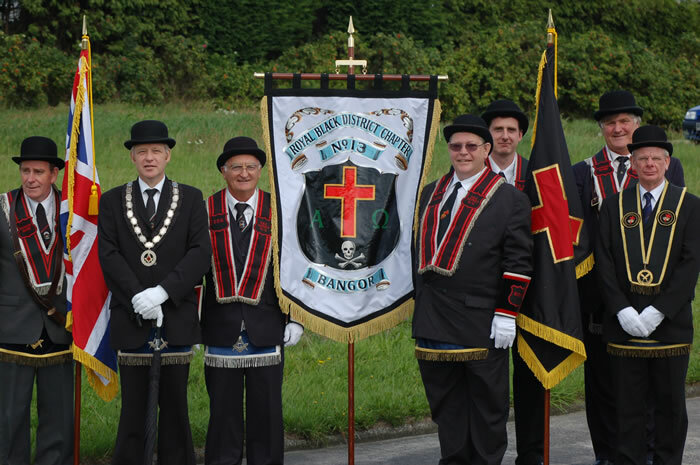 The weather could not have been worse, however with the gazebo and Barbecue operational all the players were prepared for anything; or were they! 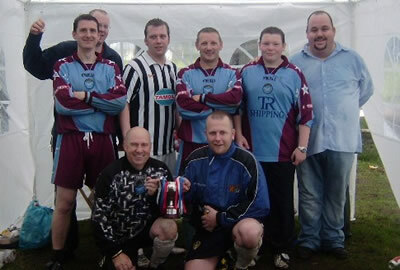 With the nets in place the teams took to the field and as you can see the water kept rising as the day progressed. 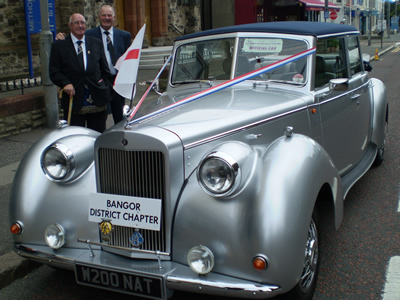 However the intrepid members from Bangor just kept going and in the end were well rewarded for their efforts and received the trophy from the County Grand Master. 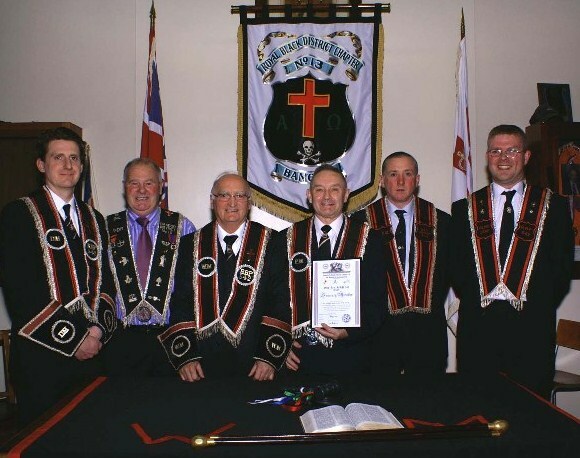 Congratulations to the winners and a BIG Thankyou to the other teams who participated and we hope that we will have an opportunity of defending the title next year. 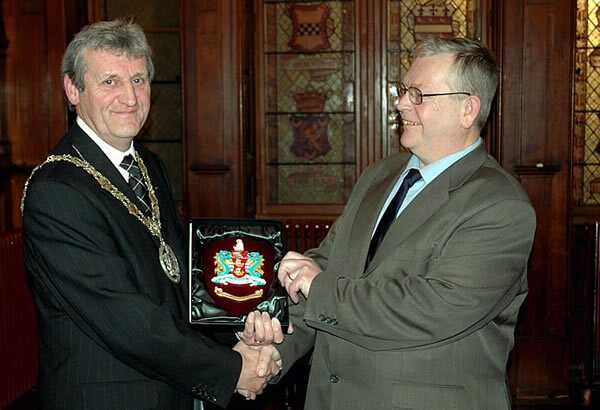 The Worshipful District Master Sir Knight David Henderson receiving a plaque from the Mayor of North Down, Councillor Alan Leslie when the Sir Knights of Bangor were honoured with a Civic Reception at Bangor Castle. 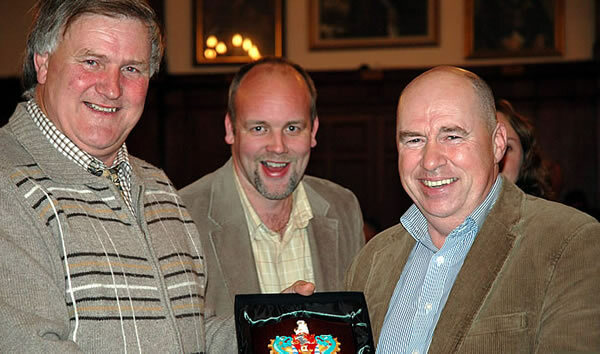 Three members from Ballykeel RBP 784 admiring the plaque presented by the Mayor. 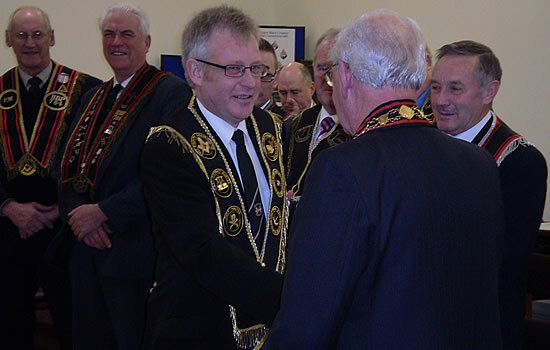 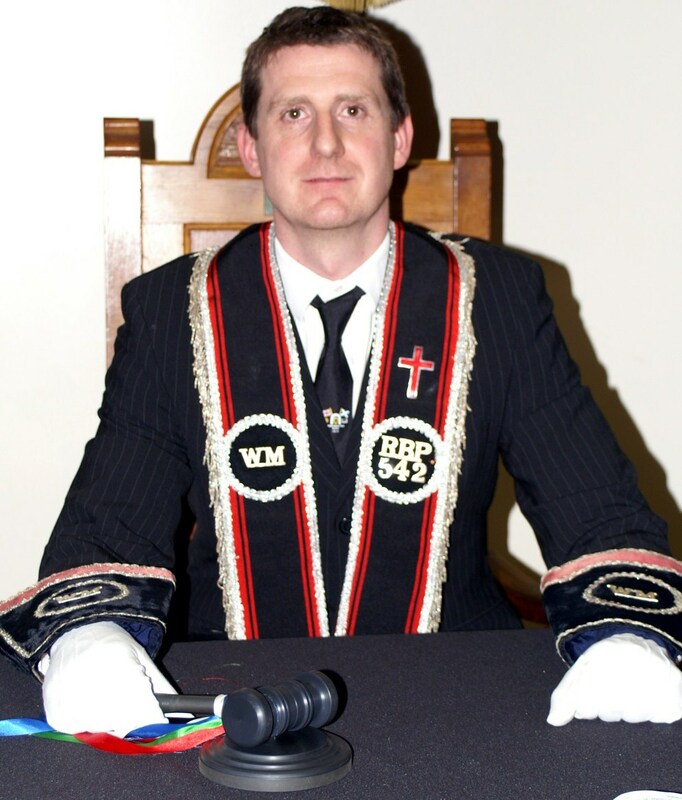 The Worshipful District Master with a few of his guests. 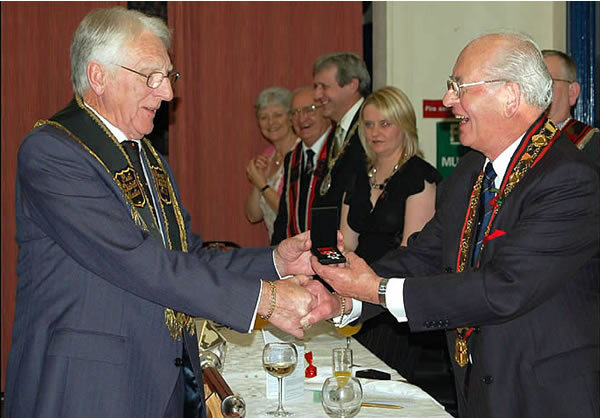 Worshipful Sir Knight William Harris receiving his 50 year service medal from the Sovereign Grand Master. 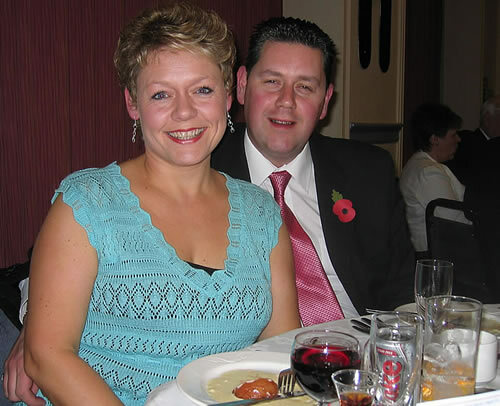 Sir Knight David Gore with his wife Nichola. 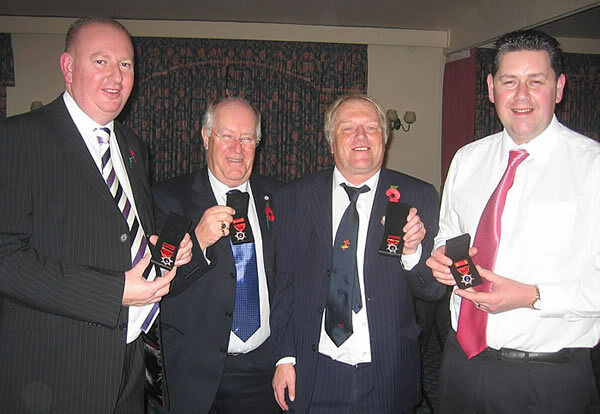 Four members from RBP 1104 proudly displaying their long service medals. 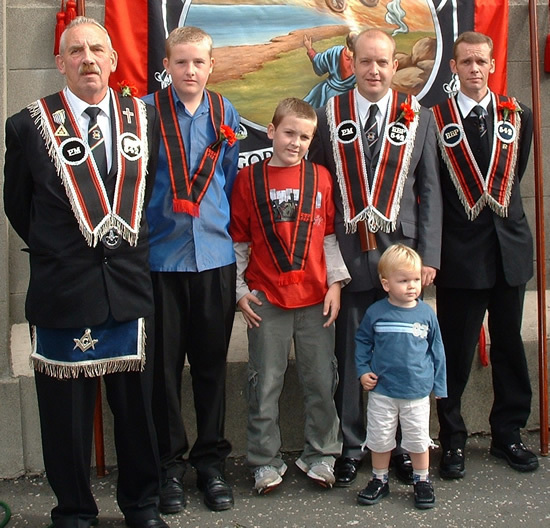 Last Saturday Parade 26th August 2006. 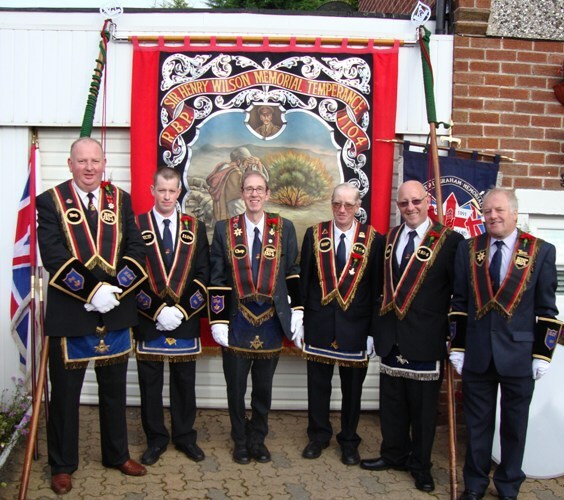 District Officers prior to leaving for Saintfield. 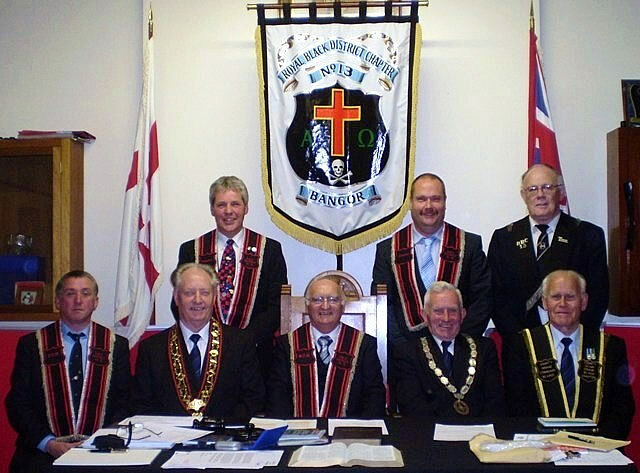 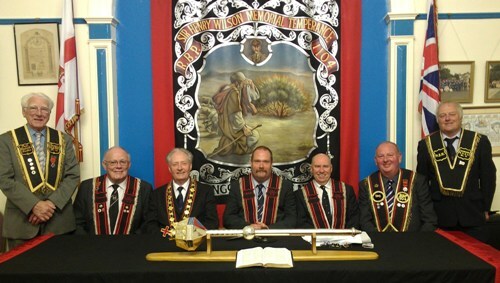 From Left to Right; Treasurer: Sir Knight Ferris Rowan, Chaplain: Sir Knight Gavin McCullough, Worshipful District Master: Sir Knight David Henderson, Deputy District Master: Sir Knight Eric Turkington, & Registrar: Sir Knight Trevor McBurney. 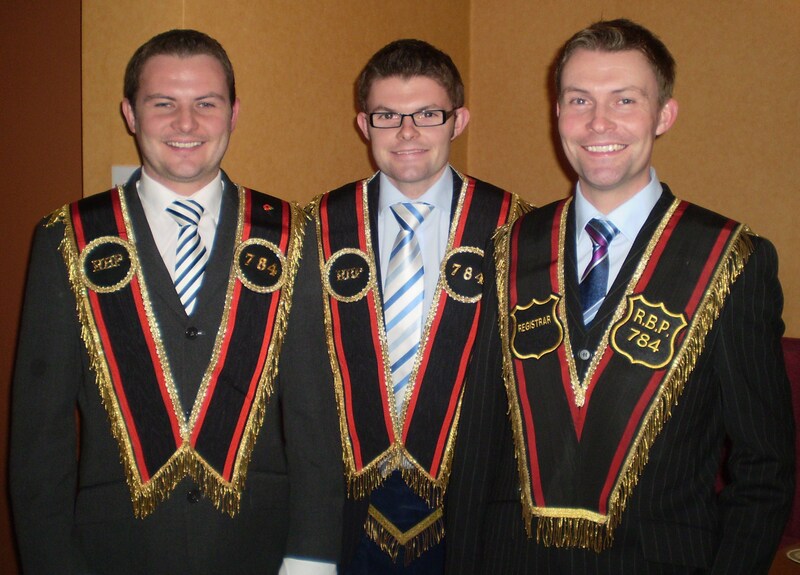 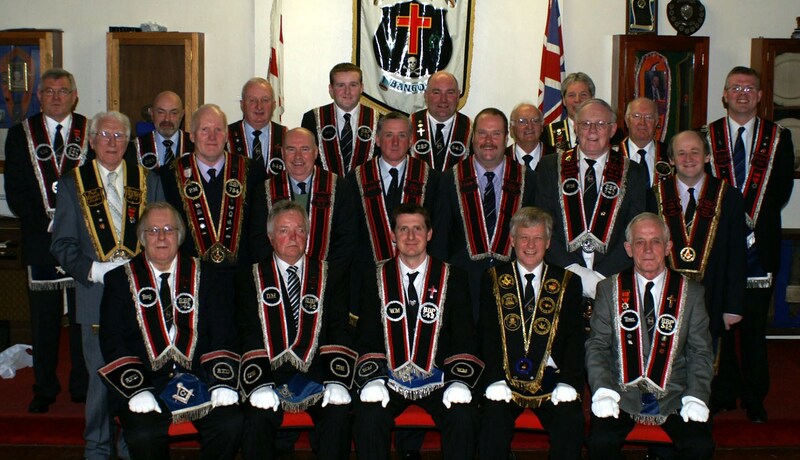 Members of RBP 542 receiving last minute instructions from the Worshipful Master before leaving for Saintfield. 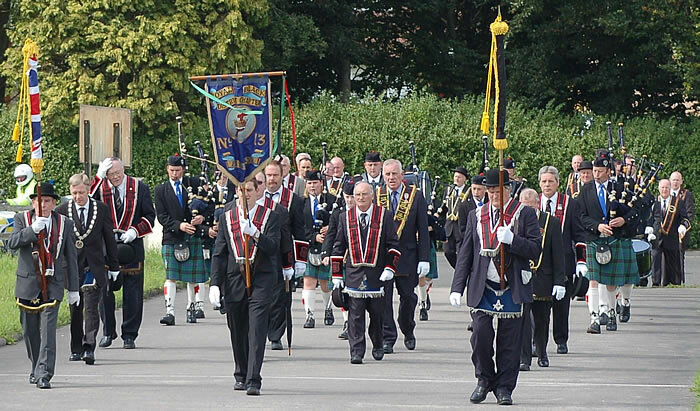 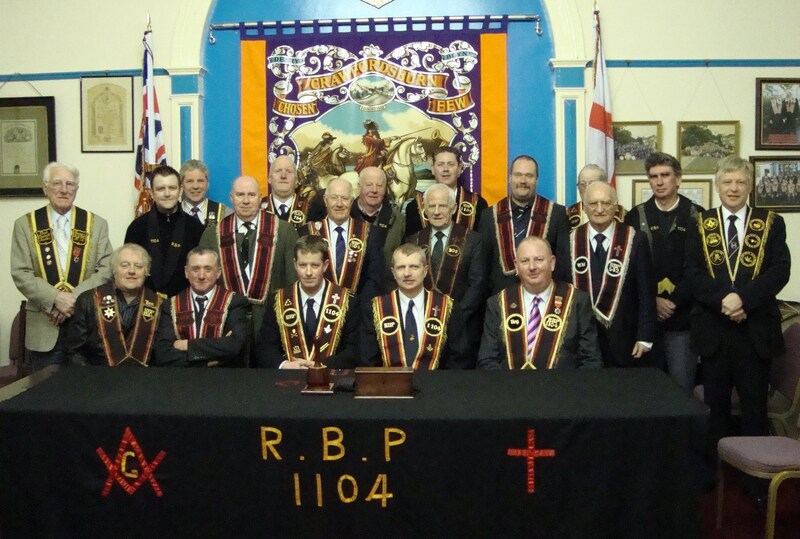 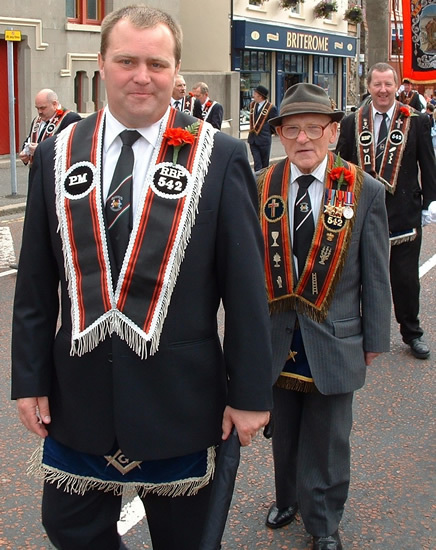 Members of RBP 1104 stepping out on their way to Saintfield. 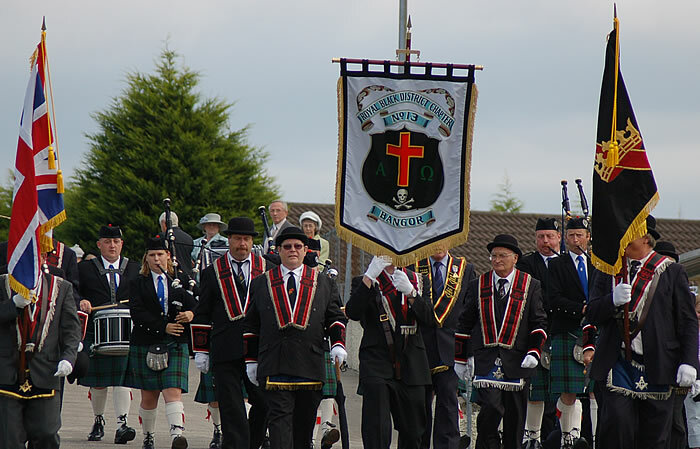 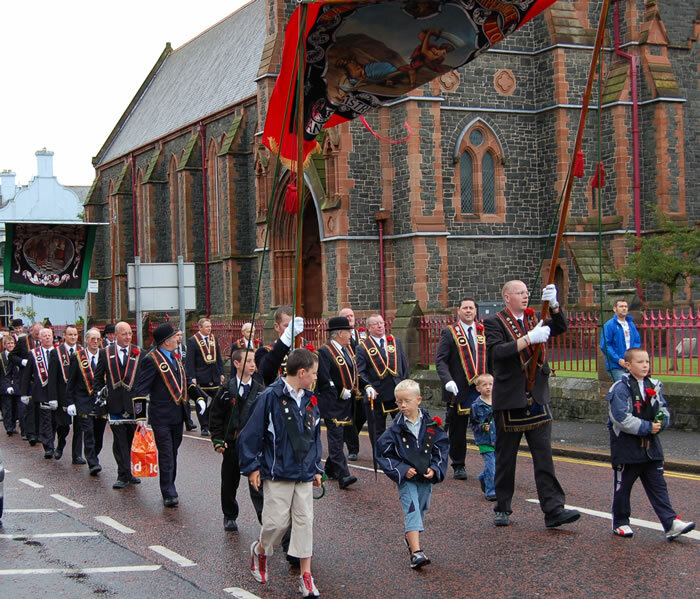 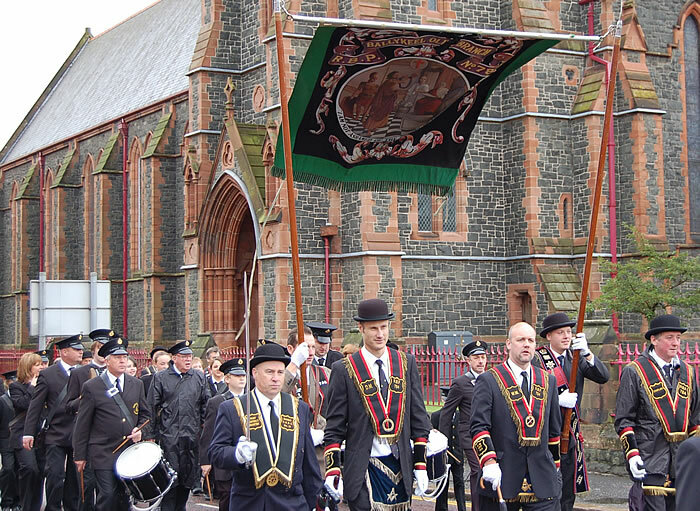 Members of RBP 784 with their banner on their way to Saintfield. 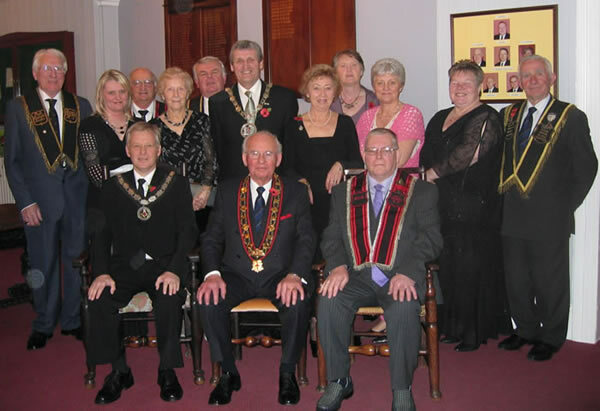 Golden Jubilee Thanksgiving & Dedication Service on Sunday 20th August 2006. 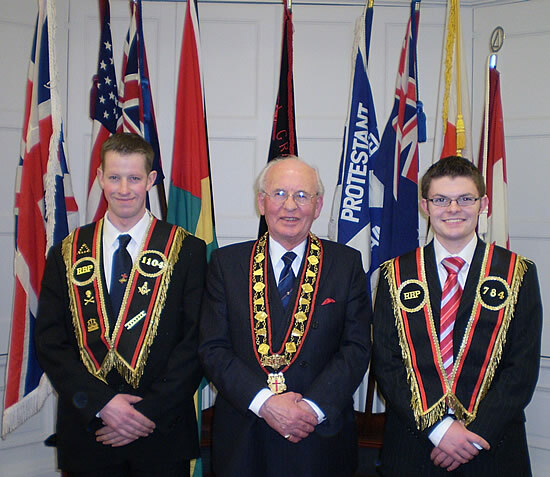 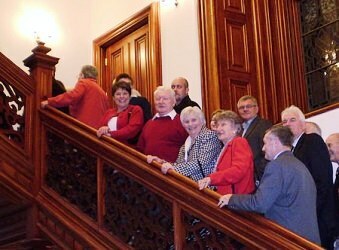 These photographs are from the years prior to 2006 and they feature some Sir Knights who sadly, are no longer with us. 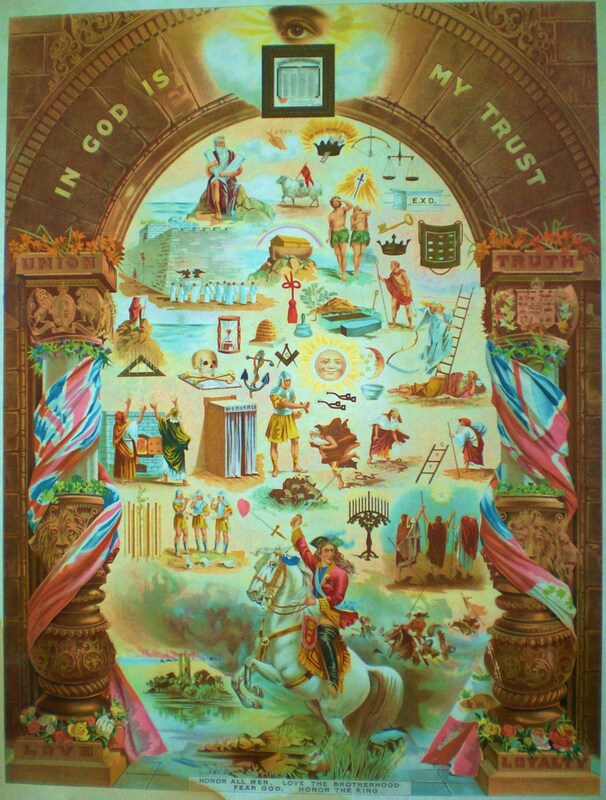 This tableau was located in Bangor Orange Hall and is now displayed there for your enjoyment.